BENGALURU,: Seven-time Grand Slam champion Venus Williams feels that the success of Vijay Amritraj, Leander Paes and Sania Mirza at the international stage proves that India has a "good tradition" in the sport. Citing examples of some of the great Indian tennis stars, Venus said she expects the tradition to continue in future. "India has a very good tradition in tennis. You have (Vijay) Amritraj, Leander Paes, (Sania) Mirza. I don't see why that tradition can't continue," the American said in an interview on Friday. 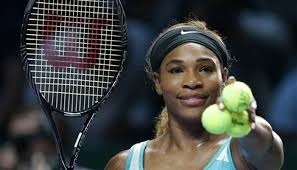 Besides seven singles title, Venus also boasts of 13 Grand Slam titles in women's doubles along with her sister Serena.